Apparently I'm a knitting machine this week. Though it definitely helps when some of the things you are knitting are tiny. My cousin and his wife are expecting a baby within the year and I couldn't help but finally try my hand at baby knits. It's definitely a lot faster than knitting for grown-ups! 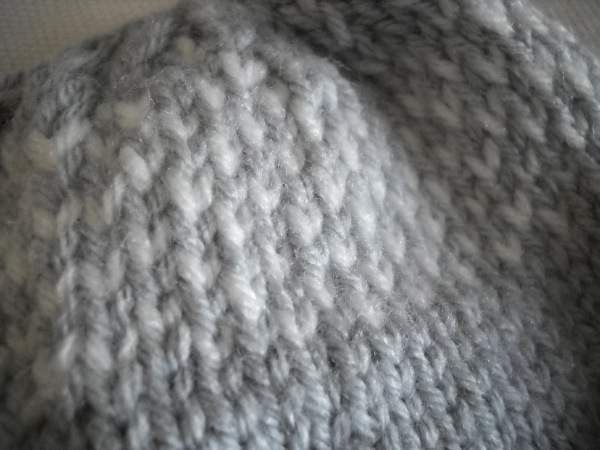 I started knitting this as it was just beginning to snow outside last week. Inspired by the flurries, I added some simple color work to the top. Below is a rough pattern for the hat. 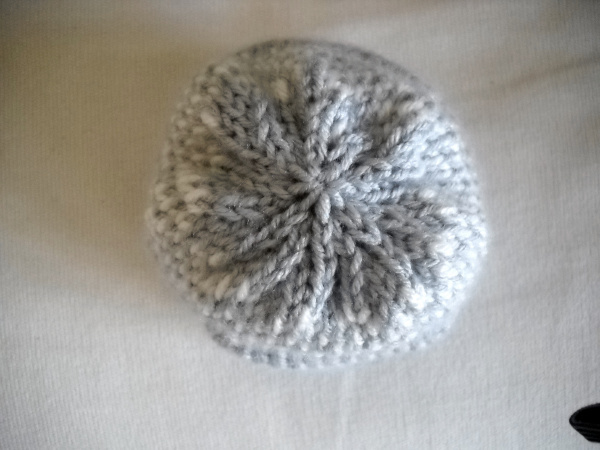 I added a chart but I may not have formatted it correctly as it is knit in the round. If anyone can spot any errors please let me know!! 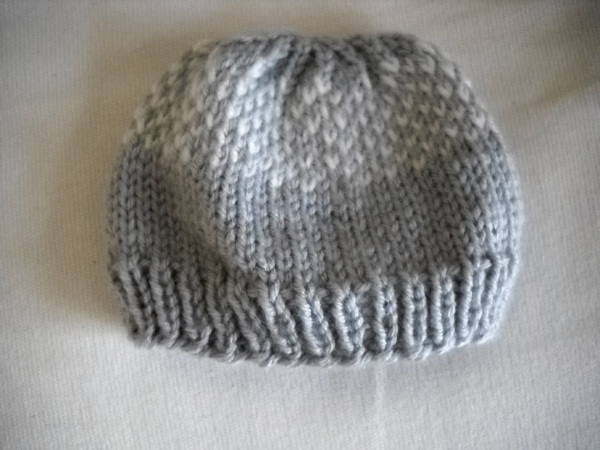 -Less than 1 skein each of two colors of worsted weight yarn. 6 st x 7 rows = 1"
Start color work chart. (I added the chart for clarity, but it's really just alternating the MC and the CC every other stitch with the 9th row of the chart starting with the CC, 3sts of MC, and CC again). Again, please let me know if you have any problems. I'm still new at writing patterns and I hope they are as clear and easy to follow as possible! What is the weight of this yarn? Soooo cute and just what I was looking for! It is so easy to do. I loved thst pattern. Thank you to share with Us. I wish God bless you.